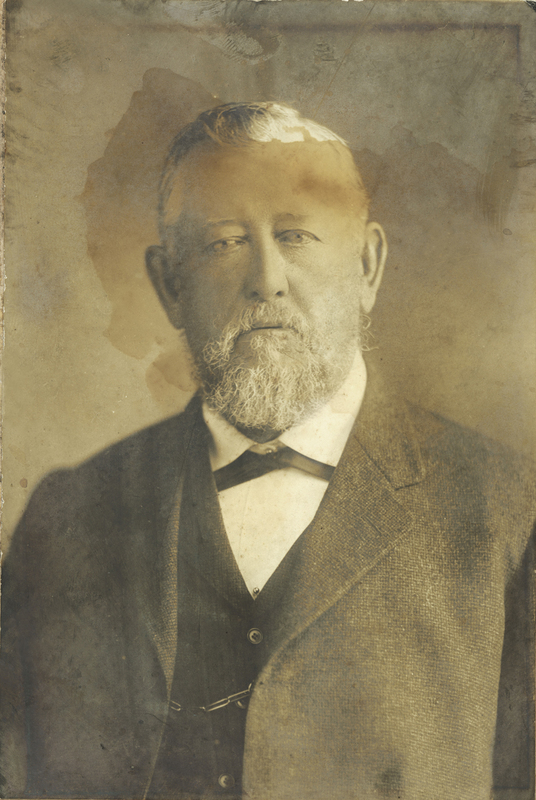 Percy Charles Lucas was born on 1 December 1845 at Camperdown, NSW son of John Lucas and Ann nee Sammons. He was married three times. His first marriage was to Eliza Ann Stewart on 4 January 1868; she died in 1872. On 30 December 1875 he married a second time to Mary Elizabeth Stewart at Sydney. She died on 23 May 1889, aged 40 years. On 29 November 1890 he married Mary Ellen Harrison at Petersham Congregational Church. There was a daughter and two sons of the three marriages. Percy Lucas died at Castle Hill on 7 July 1930, aged 84 years. His third wife Mary Lucas died at Ingleburn on 26 January 1926, aged 75 years. In 1880 when first elected to Glebe Council, Percy Lucas was described as a writing clerk, but by 1892 he traded as a wine and spirit merchant under the firm of Lucas Brothers and later retired to devote his life to municipal affairs. In December 1924 alderman William Martin said Glebe Council should honour Percy Lucas who had been ‘an alderman of Glebe, Ingleburn and Camperdown for forty seven years and had been twenty one times Mayor’. Lucas was a patron or president of countless local institutions. He was a founding member in 1881 and Worshipful Master of Glebe Masonic Lodge in 1883; he was also a promoter of Glebe School of Arts. 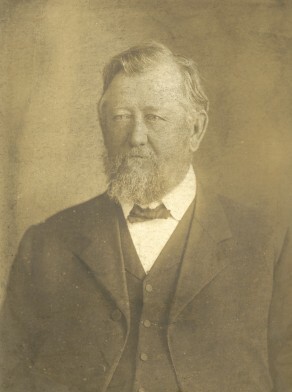 Lucas stood as a Protectionist candidate for Glebe electorate in 1889, and as an independent Liberal for Glebe in 1904. In an extraordinarily full municipal life in Glebe that stretched over 45 years between 1880 and 1925 (with a brief hiatus in 1895), Percy Lucas was mayor of Glebe on nine occasions. In February 1895 Henry Macnamara defeated Percy Lucas in Forest Lodge ward election but at the end of the year Lucas had defeated S L Cole in a Bishopthorpe by-election. Lucas was earlier an alderman of Camperdown in 1877-82, and its mayor 1878-81. He was also an alderman of Ingleburn 1903-14, and its mayor in 1906-07 and 1911. 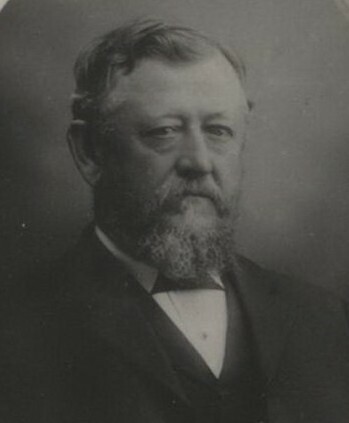 As a Camperdown alderman, he noted in 1882 that the number of Camperdown ratepayers increased from 400 to 700 between 1878 and 1881, when council revenue grew from 800 to 1,300 pounds. At the NSW Anti Air and Water Polllution League in 1880, Lucas urged adoption of the dry earth closet system. No one chaired more public meetings in Glebe than Percy Lucas. He was widely recognised as a knowledgeable witness before parliamentary inquiries examining important matters affecting Glebe municipality – the proposed drainage works for the western suburbs (1889), the royal commission on City and suburban railways (1891-92), Glebe Council’s sewerage works claim (1901) and the select committee on system of Local Government for Greater Sydney (1911-12). Lucas trenchantly defended Glebe against its critics after World War 1. It was, he said in 1923, ‘one of the healthiest’ places in Sydney. Glebe’s longest serving alderman, his career ended in December 1925 when the Labor Party took control of Council. Widely respected by Labor councillors for his integrity, they passed a condolence motion on his death in 1930.